The Morgan Library & Museum in New York had an exhibit five years ago on Edgar Degas (1834 – 1917). Thanks to the fine work of web designers & scanners at the museum, we can all swoon over the sketchbooks and drawings with a cup of tea and a notepad, and zoom in close on each image. (Image above is a screenshot, with the zoom feature, from the Museum’s web site) Visit the page at the Morgan Library & Museum and get your inspiration mojo juiced up. Painting figurative subjects in watercolor is quite challenging. 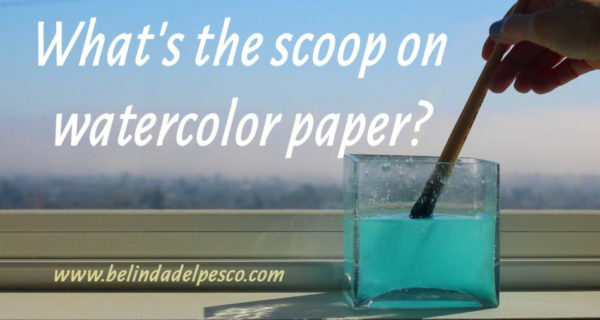 You can fudge a painting of an urban street scene, or a landscape of trees, or even a vase of flowers, and art lovers will still respond positively to the image. If you’re aiming for something representational on a human figure in watercolor, it seems like every missed mark is a bullhorn of potential “mistakes”. Perhaps we humans have an innate urge to see our brethren made perfectly aligned, and true to form, so it’s irksome to see faces too long or a hands too small, etc. What do you think about when you see a portrait or a figurative piece that’s sort of askew? Watercolor artist Mary Whyte published a beautiful book about painting portraits in watercolor a few years ago, titled Working South. CBS did an inspiring story about her work (see below), and the theme of her series; a generation of skills and jobs that are disappearing. Her subjects include a drive-in theater operator, a crab-pot fisherman and a spinner in a thread factory. I’ve always enjoyed her work, and this is a lovely glimpse into her working style, and her approach to painting portraits. There are online resources, beyond books, to sharpen your skills at figure drawing and painting; a few links to explore your online learning options. Hi-res photos of artist’s models that can be rotated 360 degrees, zoomed in and panned, etc. Lydia Paige assembles and shares anatomy references on her tumblr page, and includes human as well as animal and botanical references. Joumana Medlej is a Lebanese calligrapher who posted a series of introductory essays and sketches on human anatomy. Sketchbook Studies of faces and figures abound…. I’m supposed to be working on a still life series. It’s my very own plan, so my current sketchbooks should be awash with still life ideas, but they’re all filled with figurative scenes. (Insert big eyed, blinking, shoulder shrug here.) Do you have any particular subjects that continue to distract you from a planned path? Flowers? Soup cans? French Poodles? Cocktail art? Degas showed no reluctance to use himself as a model and painted fifteen self-portraits, all with the same detached, doubt-ridden expression, the same unrelieved anxiety. He was not yet twenty when he painted one that is seen as his first masterpiece, and a memento of his brief stint at the Ecole des Beaux-Arts. He copied the pose Ingres struck for his famous self-portrait in the Musée Condé at Chantilly. 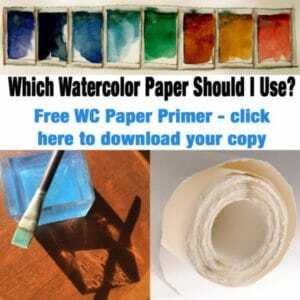 Click the rinse water to get a free three-page download on all the details related to watercolor paper; surfaces, weights, student vs professional grade, etc. Hi Jeanette – Thanks for taking the time to write and let me know the link was broken. It’s all fixed now. And thanks for your compliments and encouragement. I hope your artistic adventures are fruitful and satisfying! Thank you for your poetic and multi-hued posts! I am taking a break from work (no, not artistic work) to enjoy your post. Hi Celia, Here’s to a little artistic break for some soul-fluffing during work hours. I clink my tea cup to yours in search of inspiration and creative propagation! Hi CMF, I wasn’t aware that the video link didn’t play in Canada, so I applaud your resourcefulness and I’m grateful that you’re sharing it for others here. Good on you, my friend!